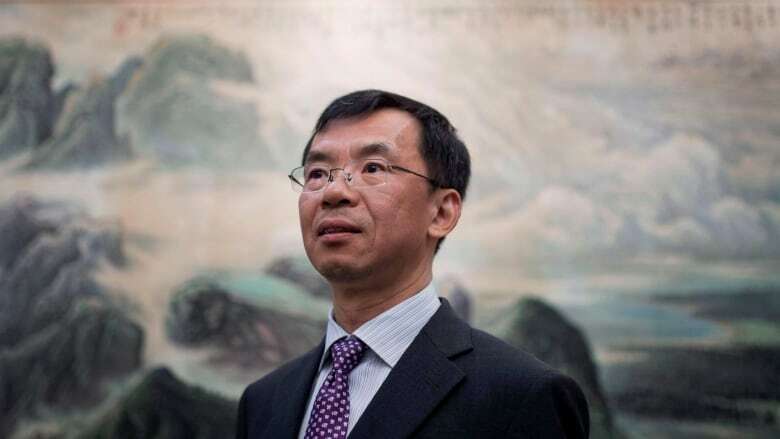 China's envoy in Ottawa suggests Canada and its Western allies are white supremacists for calling for the release of two Canadians imprisoned last month by his country's communist government. Ambassador Lu Shaye's accusation in an op-ed in the Hill Times Wednesday indicates the raw nerve that the Trudeau government has touched in China in recruiting key allies to pressure China to release Michael Kovrig and Michael Spavor. The Canadian diplomat and the entrepreneur were arrested after Canada detained Chinese telecommunications executive Meng Wanzhou at the request of the United States, which wants her extradited to face fraud charges. The U.S State Department has called for the release of the two Canadians, while Germany, France, Britain, the European Union and Australia have also issued supportive statements. Lu questions whether countries such as the U.S. and Britain are truly representative of the international community and he reiterates his government's assertion that Western countries are employing a "double standard" in judging his country. "The reason why some people are used to arrogantly adopting double standards is due to Western egotism and white supremacy," Lu writes. "What they have been doing is not showing respect for the rule of law, but mocking and trampling the rule of law." The Chinese Embassy in Ottawa did not immediately reply to a request for comment, and has repeatedly refused interview requests from The Canadian Press in recent weeks. Lu's op-ed is the second time a Canadian newspaper has published his remarks, seemingly unfiltered, in column form. Freeland's spokesman Alex Lawrence reiterated Canada's call for the two men to be released immediately and reaffirmed the international support Canada is receiving. "We are deeply concerned by the arbitrary detention by Chinese authorities of two Canadians last month," said Lawrence. "Canada remains closely engaged with partners, who have also spoken in support of these detained Canadians and the rule of law, including the United Kingdom, France, Germany, the EU, the United States, and Australia."